Welcome home to your ranch plan backing to the golf course complete w/ walk out basement! Heritage Todd Creek offers 55+ living at its finest with tons of amenities! Follow the Oak Winchester hardwood flooring into the open floor plan. The chefs dream kitchen welcomes you w/ Smokey mica glass block backsplash, Uba Tuba granite countertops, 42 tahoe maple cabinets, stainless appliances & massive center island! The bright family room opens from the kitchen & boasts Emperador marble fireplace! The master bedroom includes deck access & astounding views of the golf course. The luxurious master bath features granite countertops, upgraded parkway Brown ceramic tiling & walk in closet! Wrought iron railing leads to the dry walled walkout basement including a bar. The immaculate views offered are priceless! 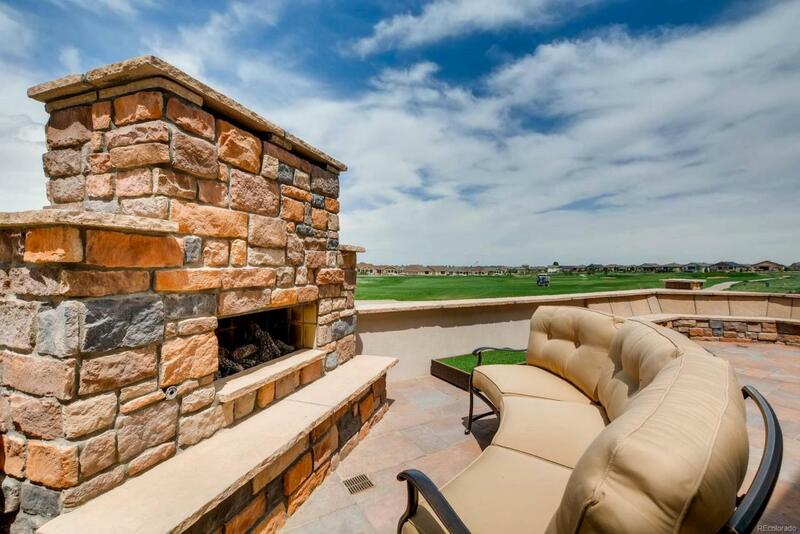 Enjoy them from the privacy of your extended covered deck or seated around the custom outdoor fireplace.